Mary Brickell and her husband William Brickell moved from Ohio to Florida in 1871. Aside from owning a post office and a trading post, they scooped up large tracts of Miami real estate, eventually pioneering, with Julia Tuttle, the founding of Miami. One aspect that makes The Roads unique is its infrastructure. 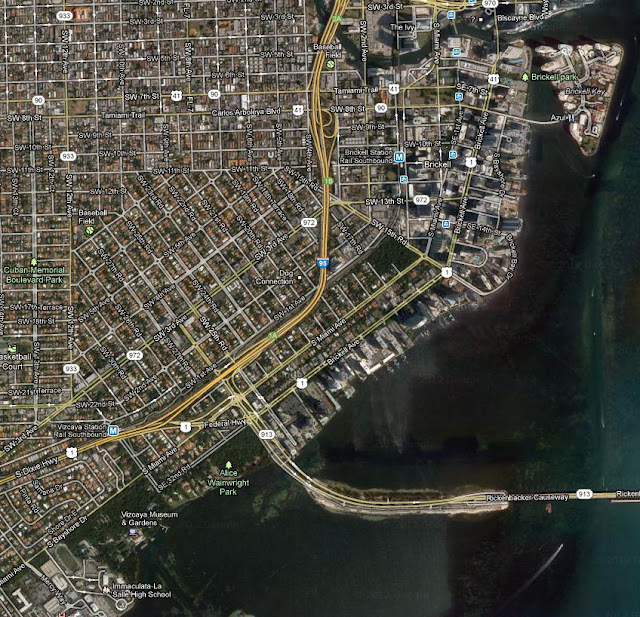 Streets in Miami typically go north to south in the form of avenues or east to west in the form of streets. In this area, roads are completely diagonal to the grid set in place for the rest of the city as evident in the map below. The Roads, a Miami neighborhood designed and developed by Mary Brickell (and named Brickell Hammock at the time), is aptly named. Brickell was a devotee of wide streets. 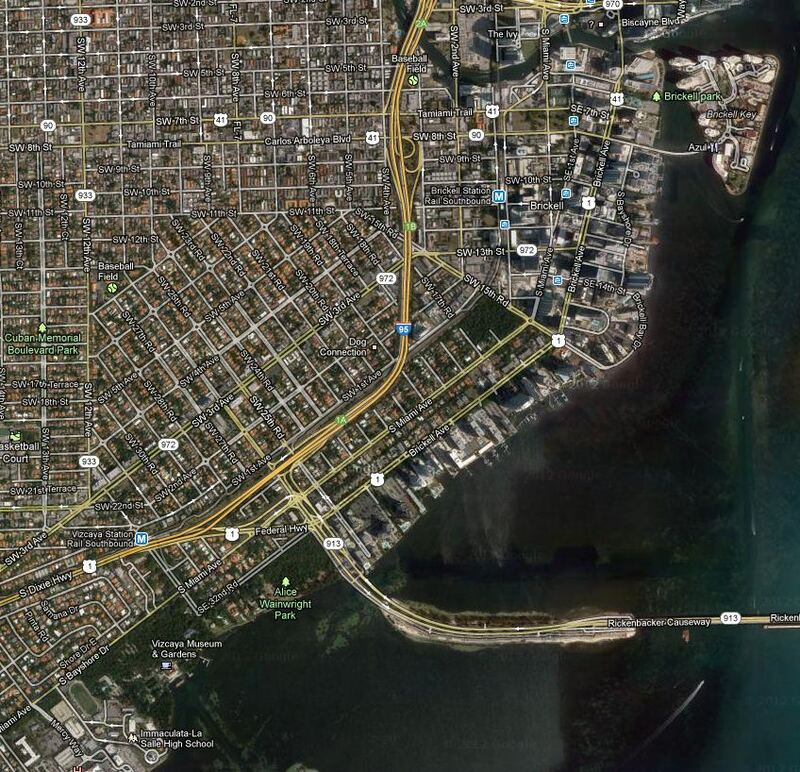 In fact, her dream was for Miami to be a “city of handsome homes” situated on wide roads with landscaped medians. Located on the southwest side of Brickell and north of Coconut Grove, Miami's The Roads is popular today for its older homes, tree-lined streets and quiet, peaceful environment. Commuting to work is a snap since the community is served by both Vizcaya and Brickell metro stations. Current prices of homes in The Roads range from the high 200 thousands to $19 million, and buyers can choose from condos and single-family residences. 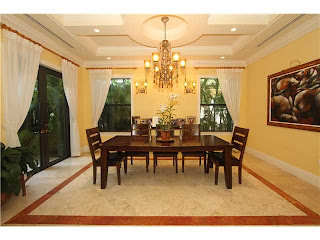 Most are within walking distance to Brickell Avenue, Coral Gables and Key Biscayne. At the low end of the price scale you’ll find an adorable 1942 bungalow-style home in need of some TLC and priced accordingly: $298,000. The bare bones are enough to get your heart racing, though. With hardwood and tile floors throughout, the 7,500 square-foot home sits on a large corner lot. For three bedrooms and two bathrooms, this one should go quick. There are several fine homes priced between $1.2 million and $2.8 million but let’s jump right to the top of the market in The Roads. 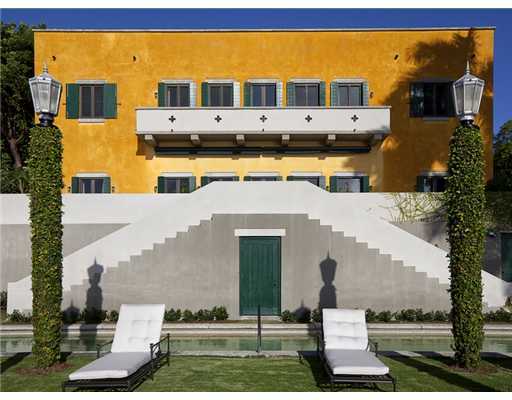 Situated on over 2 acres right on Biscayne Bay, this estate is an architectural dream. Palatial, impressive and tasteful may be apt descriptors for this amazing home. Outdoor features – aside from the impressive water view -- include resort-like grounds and the oversized terraces that overlook them, the tennis court and water features. This home has 8 bedrooms, 9.5 bathrooms and 14,433 square feet of living space. It is being offered at $19 million.